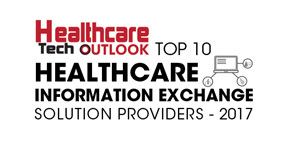 There is widespread consensus that health information exchange (HIE) forms the bedrock for achieving true interoperability, enhancing the quality and efficiency of healthcare. As focus shifts to patient-centered care, the role of HIE is amplified. The ACA and 21st Century Cares Act have stimulated demand for actionable data for aggregation and information analysis, but challenges remain for HIEs. On a mission to transform HIE organizations into information powerhouses, Advances in Management, Inc. (AIM) is making HIEs an integral and indispensable component of the health care system in the communities they support. With offices in Delaware and Ohio, the firm harnesses more than a decade of experience building HIEs from vision to sustainability. In times when numerous HIEs struggle to meet customer needs and overcome financial and governance challenges, AIM breaks down these barriers and accelerates their journey towards sustainability with the right operational and technical infrastructure offering health information for accountable care. AIM offers consulting services to plan, facilitate, manage and operate HIEs and health programs; advises on vendor selection and is highly skilled in contract negotiations. The team is well-versed in mitigating the challenges that have bound the widespread adoption and sustainability of HIEs. Gina Bianco, President/ CEO of AIM states, “Over the past decade, HIE has shifted focus from connecting providers and hospitals so that their patients’ health information follows them across organizational boundaries; to making that data actionable in a value-based health care environment.” Bianco believes that if HIEs are able to provide data from diverse sources – clinical information (physical, dental, behavioral health) and claims data coupled with social determinants of health – they will thrive in the value-based care system. She notes this data is difficult to ascertain, aggregate and present in a meaningful way to diverse audiences. Technology for value-based care is still evolving and for HIEs to survive, they must also evolve their strategic and business models and the services they provide. Gina relates, “At one time, health care was perceived to be very local, but data from mature HIE initiatives have shown that patients travel for healthcare, whether to seek specialized care or due to healthcare events while traveling.” That means truly measureable and accurate quality reporting relies on data gathered from diverse sources and geographies. In AIM’s experience, providers are overwhelmed with the requirements being put upon them to show value and report quality measures. They are being asked for data in multiple formats from many directions – payers, employers, and other providers/health systems. “HIEs are in a unique position to help,” she adds. AIM’s approach to working with clients is one of collaboration with diverse stakeholders – spending time understanding the challenges they face and the barriers to adoption. AIM helps HIEs strategically build a strong organizational structure; develop staffing and resourcing plans based on a deployment approach that addresses current and future needs. The goal is to liberate data so that it is actionable, reportable and available to those who have a need to know. This strategy includes looking beyond community and even state boundaries, understanding legal and political barriers and defining methods to break them down. AIM’s success is built upon the principle that the patient must be the focus and HIEs must be a neutral third party that advocates patients’ interests and rights.“Successful HIEs at their core should support patients, their providers and those who pay for their care,” says Gina. To optimize health care efficiency and coordination and provide the best treatment experience, AIM contends that HIEs must be reliable and provide timely and complete information that helps reduce redundancy and makes for more effective cross-organization treatment decisions. Having worked with 11 state and regional HIEs in 9 states, “AIM assists clients in defining and executing their strategy and serves as a bridge to guide them from where they are to where they need to be,” says Gina. Because the AIM team has hands-on, real-world HIE experience – building HIE organizations from the ground up (planning to sustainability) to assisting HIEs in need of a transformation strategy – the company has an edge on others in the market. AIM seamlessly navigates the intricacies and challenges of the HIE realm. The company fortifies the HIE staff and helps to set project milestones, track deliverables, and manage projects and vendors. AIM is adept in establishing business development goals and strategy, and supports expedited deployment, adoption, training and usage of HIE services. With its in-depth knowledge in making HIEs financially robust, AIM offers a broad range of financial planning from developing annual budgets to establishing financial policies. The firm helps HIEs outline financial goals, diversify revenue strategies and achieve sustainability for the HIE. The firm also assists in securing funding for HIEs and connects them with grant opportunities, for which they have nearly 100% success. While keeping an eye on making the HIE financially robust, AIM ensures that clients comply with privacy laws and develops tools that help them to operate within state/federal regulatory frameworks. The firm drafts and hands over communication and educational materials to continue the guidance after project completion. The value proposition that AIM provides has proved to be a boon for its customers. One example is Reliance eHealth Collaborative in Oregon. In just under four years, what started as a three-county regional HIE is closing in on establishing a statewide presence. At the forefront of this advancement was Gina Bianco and the AIM team, working in concert with the stakeholders who had a vision for HIE. Gina recalls that AIM assessed the environment and found great interest for forming a community-based HIE. With Bianco serving as the organization’s “acting” Executive Director, AIM facilitated strategic planning, provided guidance for their governance structure, recruited staff, and shepherded the application for 501c3 status. AIM also authored a federal grant application with the Oregon Health Authority to implement behavioral health information exchange in compliance with Federal privacy rules. With the help of AIM’s strategic leadership and vision, Reliance is building capacity to provide users with actionable and integrated physical, dental, and behavioral information that drives value based care and addresses the triple aim.